Firstly, what does “holistic” mean? Essentially it is an understanding that everything is connected, for example rather than just treating an ailment with medicine, it’s also looking at the emotional and social factors in combination. On a basic level this could be something as simple or straightforward as managing your horse’ turnout/stable needs. Does your horse prefer to be stabled or turned out in the field with a particular companion? This maybe something that you think automatically about and so do turn your horse out with (or stable next to) companions who s/he gets on well with. 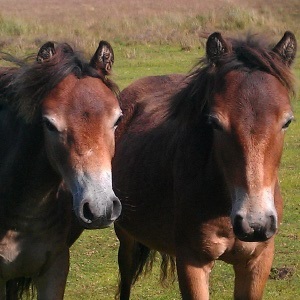 But if you didn’t, and through being turned out or stabled next door to other animals who cause your horse stress or anxiety, which in turn affect his/her health/wellbeing, then you may not be considering how this management aspect is affecting the health – so not taking a holistic approach. Before you ride your horse, do you feel like you’re able to concentrate fully on your riding or are other areas of your life affecting your riding? As horses are sensitive, they easily become aware of our feelings – whether we’re stressed, relaxed, etc and can react to us accordingly. Thinking about how you are feeling and also how your horse is feeling when you go to exercise him/her, and responding accordingly – taking a holistic approach, can make a big difference with building a positive relationship with your horse. Do you use training aids when exercising your horse, under saddle or on the lunge? While different training equipment can have its place (and be helpful! ), taking a holistic approach may mean reconsidering your approach to schooling and training - it may not be the quickest way, but it maybe a better way in the long-run. 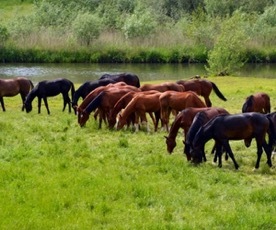 How can you take a holistic approach to your horsecare? Worming – regular worm counts forming the basis of your worm management programme, will often mean less wormers being used. This can help reduce resistance to wormers, and therefore contributes to a holistic approach to horse management. Grazing – If it’s possible for fields to be rested, or grazed with sheep, then it can often help improve pasture quality and reduce worm burden. This in turn may help reduce the use of fertilisers or any chemicals on the grass. Rugs – Does a holistic approach mean wearing no rugs? No, it doesn’t! Some horses for their health and wellbeing will need to wear a rug, for example if they have an ailment or are just older and may feel the cold more. Keeping the horse comfortable and able to be at his/her best is the aim of any management approach – including a holistic one! Healthcare – Using complementary therapies (alongside conventional medicine when required) to help promote health and wellbeing. Find out more by visiting Taranet’s directory or email us for some general advice! Footcare – do you need to use barefoot trimming to take a holistic approach? Again, as with rugs, no you don’t! Although being "barefoot" maybe the ideal, and whilst many horses do “adjust” to not wearing shoes very easily, (it is after all more natural for them not to - horses in the wild will seldom be wearing shoes! ), if your horse has an ailment or just has hooves that mean not wearing shoes would be detrimental to his/her health/wellbeing, then shoes should be used. Your vet and/or farrier will be able to advise what’s best for your individual horse, taking into account his/her health and activities. Feed - Use feed (including treats) that is free from processed/chemically modified or genetically modified ingredients. How can you do this? Read labels carefully! There are many feed manufacturers on the market, who recognise that some people want to feed their horses a "natural" diet. Look out for wording on labels that says "organic", "unsulphured", "non-GMO", etc. Any animal (pet or livestock), can lead a holistic lifestyle, including your dog! Feed - As with horse feed above, use feed that is free from processed/chemically modified or genetically modified ingredients. Using feed that reflects a natural diet, means your dog is less likely to have skin complaints, digestive upsets and other health ailments. There are many dog food ranges available that are organic or who use holistic principles. Healthcare - There are going to be many instances, when "conventional" veterinary medicine is essential. Complementary therapies and products can be used to support your dog's health, including alongside conventional medicine. For more information, please visit the Taranet directory or email info@taranet.co.uk for some general advice! There are several Veterinary Surgeon's across the UK (and internationally) who work using holistic methods, if you'd like help locating one near you, for your animal, do email us! Training - There are several techniques to training that are particularly gentle, yet effective. Tellington Ttouch Training is one example of such a method, and has had success in helping dogs with both physical and behaviourial problems, as well as general performance. Worming - It is possible to use herbs to help control intestinal challenges. Verm-X is one company that is leading the way in herbal wormers for many animals, including dogs. Find out more at their website here. Is there a "Back Therapy" for horses? If your animal is itchy, what can help? Veterinary Physio or Massage, is there a difference? MSM - Good for your Animal? New Year, New Food For Your Pet? Get More Animal Healthcare Tips With Our E-newsletters - Have a Look At Some Recent Ones Below! Would you like information on Veterinary Surgeon's or Therapists who use holistic approaches near you for your animal? Please email us at info@taranet.co.uk - we'll be pleased to try and assist!